Dubai is certainly one of the most beautiful locations in the Middle East. With rich traditional cultural heritage and Modern architecture, it can be one of your favourite tourist destinations. Enveloped with amazing architectures and sky high skyscrapers, the city has everything in abundance. There is so much to see and absorb in Dubai that it is important to plan beforehand on what to do. Here’s a list of the most stunning outdoor activities in Dubai. 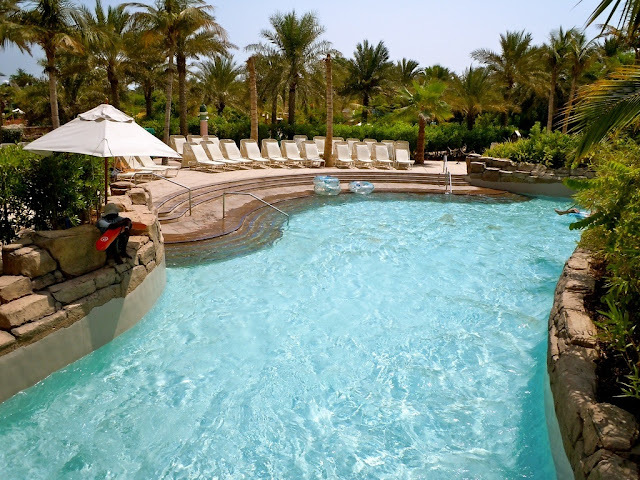 Obviously the first thing which springs to mind when you think of Dubai landscape are its endless rolling golden sands. 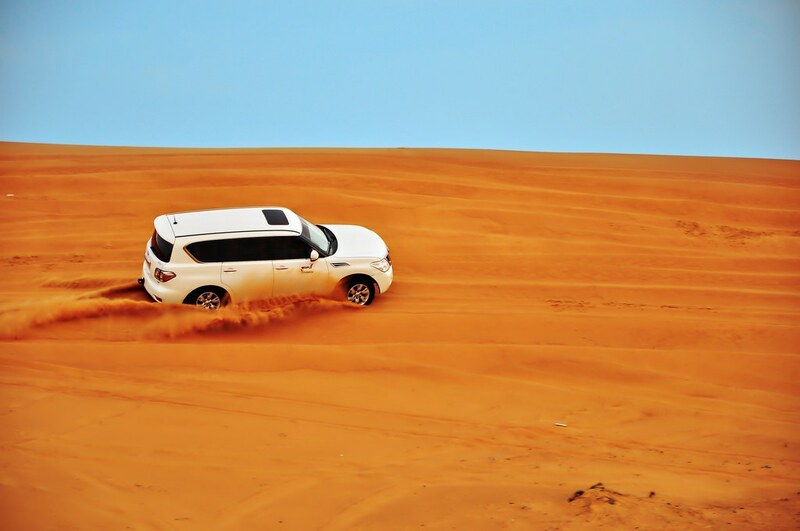 Well, the 4x4 dubai desert safari through the glorious desert is undeniably the best thing you could ever do here. Feel the animal strength of the jeeps as they bash through the sand dunes, leaving you stunned by the force and movement of the sand. The jeeps rush through JIT (Just in time) to capture the kaleidoscopic sunset. Following that you will be driven off to an elaborate Arabian Nights styled camp. In the camp you can have your fill of exotic music, hookah, belly dancing and amazingly delicious Arabic food. The Dubai Marina is one of the most stunning waterfronts you will ever witness. 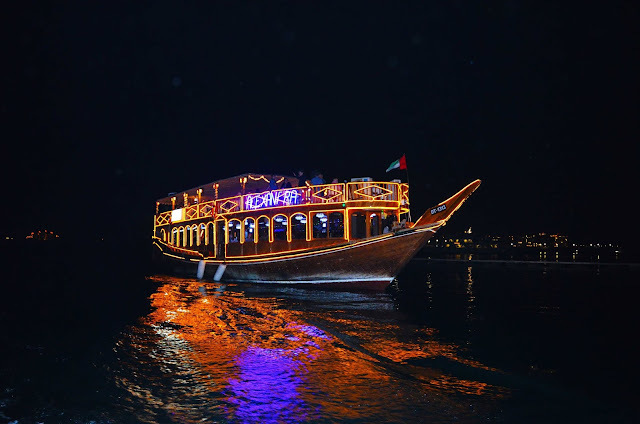 Dubai looks even more alluring and glittering when you get around the city in a boat. You have several options here; either book individual places on a large boat or hire a smaller private boat (works best if you are 6+ people or more). You can find interesting deals online for chartered yacht rides too which can take you around the Palm in the Dubai Marina. The famous Burj Al Arab as well as the iconic Atlantis is two of the most famous sights you ought to ogle at when on your boat trip. The boat trip will leave you feeling as luxuriously satiated as a sultan. 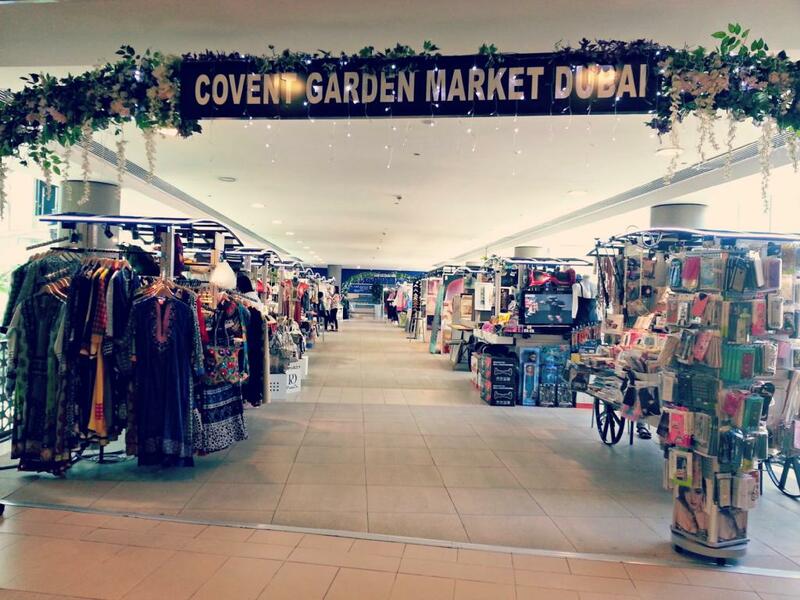 The luscious outdoor markets of Dubai make it swanky malls look so passé. Dubai has a selection of great outdoor markets, which can let you combine shopping with walking with sightseeing (most perfect combination ever). If you want to browse through fashion accessories then head off to Dubai Marina Mall Promenade. If it’s the weekend, then head off to Covent Garden Market on Walk JBR for some nighttimes outdoor shopping for local jewelry and sweets. With street artists, musicians and food stalls this place is almost like a fair. Every Saturday the open Farmers market in Dubai will tempt you with artisan produce, pure local honey, organic food, flavored bread, dates, spices etc. There are so many ultra-luxurious Cineplex’s in Dubai that probably watching an outdoor movie is not going to appeal to you much....at first. However, when you consider the fact that you will be watching it on the glamorous Wafi rooftop in ergonomically designed bean bags, you might change your mind. You will be besotted by the idea when you know that you will get every kind of food right from Shwarma rolls to hot dogs on offer while you relax under the star studded canopy. 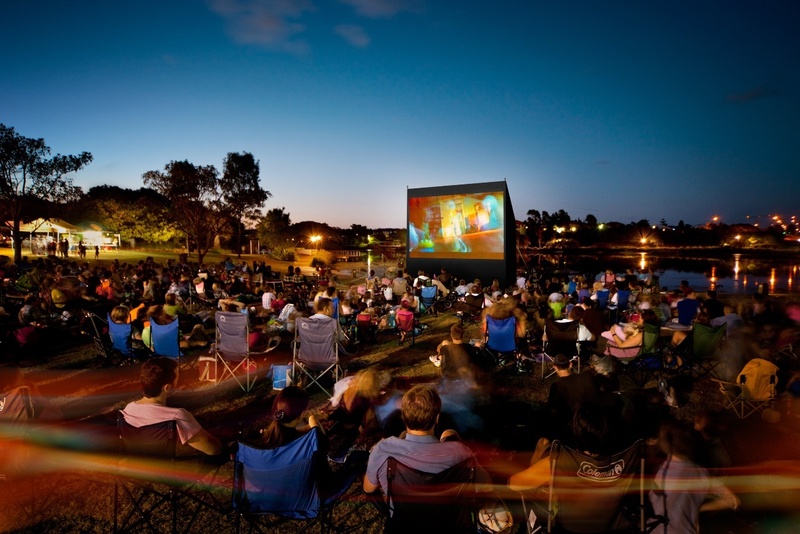 There is a selection of movie screenings right from cult classics to popular blockbusters. The icing on the cake is that this event is free so you have to rush early to grab your seat in Wafi Rooftop in Oud Metha. If you want to see the scintillating Dubai sunrise from up close and you are a brave heart, then do not think twice before booking the Hot Air Balloon Ride. A better option will be to sign up for the one happening near the Dubai Desert Convention Reserve. 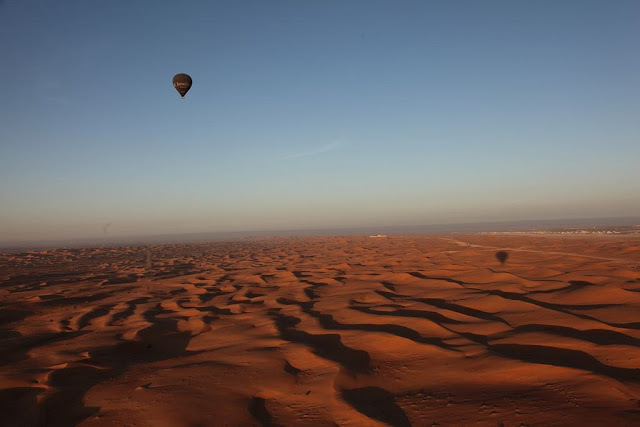 The balloon ride will take you 4000 feet up and you can have a grand view of the desert fauna like Gazelles, Oryx and camels. All kinds of precautions are taken and the ride is perfectly safe for everybody apart from small kids and people suffering from vertigo, heart problems etc. If you are an adrenaline addict then you will be enthralled by the Atlantis Marine Water Park. The sheer number and variety of rides, water slides and excitements on offer at Aquaventure will blow your mind. There is a never ending long Lost Chambers Aquarium with strange and exotic marine life. There are options of going swimming with sea lions and dolphins and also scuba diving opportunities. For a full- on entertainment experience this is a must-do activity. This is an ultimate experience in driving for you and a cruise along SZR (As Sheikh Zayed Road) is popularly referred to be a must in Dubai. If you are fond of luxurious cars, skyscrapers and the glittering lights of the city, then this road is your Mecca. You can probably equate it to Monte Carlo. This road eventually ends up in Abu Dhabi and will link all the major points of Dubai. Take a cab and get driven along this road while you gape at the concrete and glass marvels and the grand Bhurj Khalifa. Beware of peak traffic hours, though as you will see cars racing forward from all directions. The experience is very much like those glam car races that you see on TV. Whether or not you know how to golf, the spectacular Golf Yacht Club is a must visit. Majestically situated on the banks of the Dubai Creek the Yacht Club has a clubhouse which is uniquely original in concept. 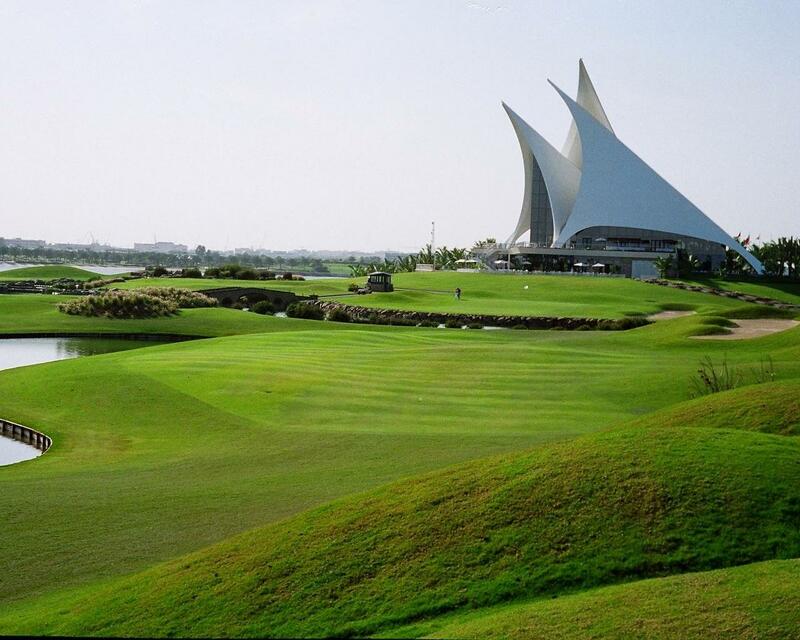 The Golf Course itself is of Championship Calibre and also has a Marina. The Complex includes the 5 star Park Hyatt Hotel, high quality residential spaces and marvelous multi cuisine restaurants. If you do know how to golf then you will enjoy the game like never before with the glittering Dubai and majestic highways in the backdrop. The Hajar Mountains run on the eastern side of Dubai through the rugged Ras al Khaimah and Oman enclosing a complicated juxtaposition of biking trails. There is a great group of mountain biking lovers called Hot Cog who arranges expeditions through the fierce trails. Depending upon your proficiency and expertise level you will be guided on a suitable trail encompassing wadis, rocky paths and animal prints. On the way you can glimpse exotic desert fauna like desert chameleons, horned mountain goats, donkeys etc. Dubai’s magnificent skyline has always charmed the world. For some adventurous souls rushing towards these landmarks by shooting out of a Cessna and plummeting at break neck speeds can be a major turn on. 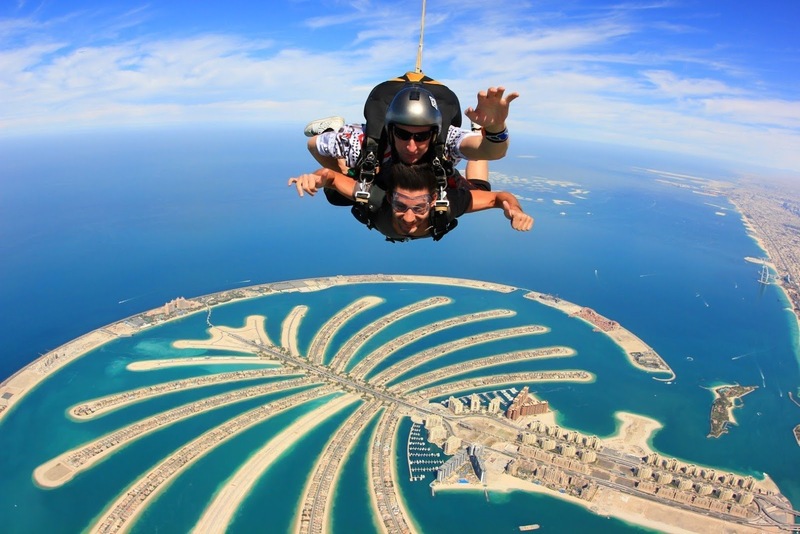 If you have ever fancied the idea of sky diving, then you can check out the top notch skydiving options from the Dubai Marina point. You will be strapped to a trained instructor and then you can sky dive towards Palm Jumeirah for an instant adrenaline fix. Dubai Waters has some 250 lucrative fishing spots and a fishing expedition is one of the most exciting activities you can participate in when in Dubai. The sun, surf and the beautiful waters teaming with marine life will make you feel as if you are a part of some nature documentary. Just book your seats in one of the many fishing tour companies. Most offer great food, music and facilities plus a detailed guide about fishing. Some commonly found fish you can catch in Dubai Waters are Barracudas, Cuttlefish etc. 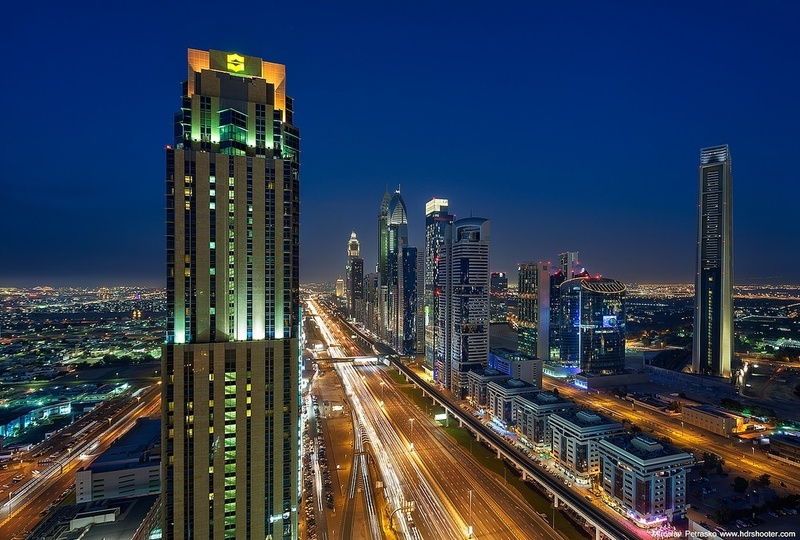 You can also enjoy the view of important landmarks like Bhurj Khalifa from your swanky boat. 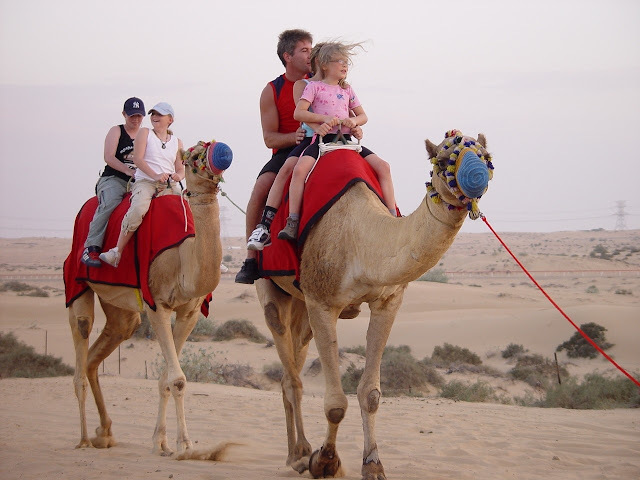 Sign up for a camel ride trip in the glorious Dubai deserts and enjoy many ancillary activities offered on the trip. These national animals of Arabia are Dubai’s pride and riding them is for sure a regal experience. Right from getting Henna tattoos to feasting on date concoctions to watching Tambourine performances; this is going to be an awesome activity for you. Dubai has led a fascinating journey from just a small Bedouin village to the world entertainment hub. Outdoor activities are just one of the many reasons to visit this magnificent city. But if outdoor activities are your pick for a destination, now you know that Dubai dos not lag behind. So what are you waiting for, plunge into these great experiences on your trip to Dubai! Dubai is always been one of the most top tourist attraction in the world. The city is such a beautiful nature gifted one that you experience everything at one place. The neighbor city Abu Dhabi has also been crowdy place where most of the tourist came from different parts of the world. It is the best place to plan trips with family and friends. I recently went on a Dubai city bus tour.